Take control over your development and deployment processes, gain insights and improve cost -and risk efficiency, time-to-market, and customer satisfaction. Together we define your desired development and deployment process. Next, we orchestrate these processes in our web-based and open framework*, addressing your legacy and future. As a result ,you will benefit from a standardized, proven, documented, auditable, repeatable and sustainable process. 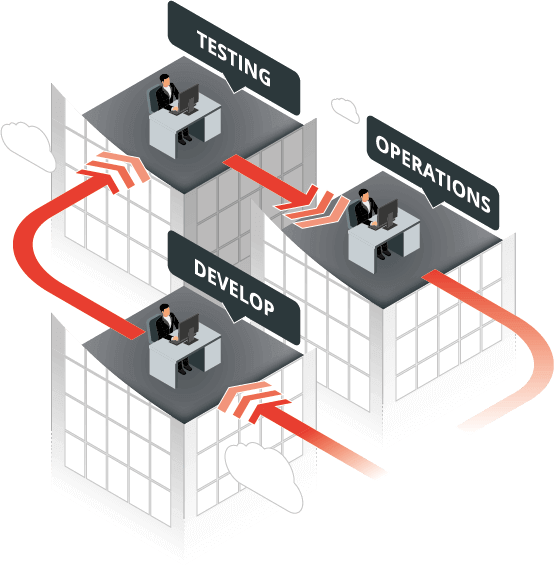 The framework is adaptable to any development environment by using "Phases". Either write your own or use our certified phases for ODI, SAP and IBM z/OS. For each project you can have one or more project streams. A project stream is linked to a version control repository trunk or branch. Each project stream can have his own distinct life cycle. 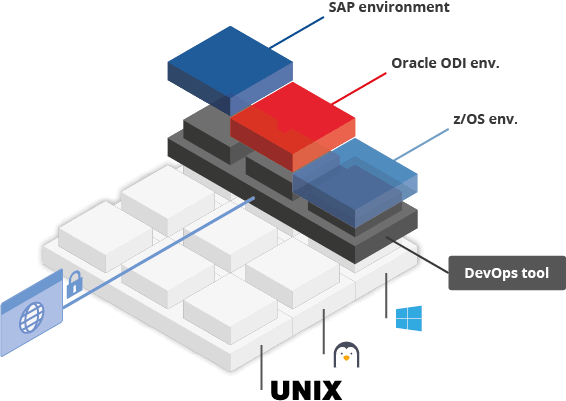 The framework supports Release -and Package-based builds (Distributed and Mainframe). You can have continuous integration, scheduled or forced builds. Once the release is built, it is stored as an archive for later use.  The automated deployment process moves the package or release to the appropriate Test or Production environment. That is done using pre-deﬁned, yet customizable Deploy scripts which we call "Solution Phases". You can make your deployments pre- or post-approval based, and you can also get notified by mail of any successful or failed build or deploy. No matter which tools you are using, they will be integrated in your automated lifecycle. Based on the outcome of your tools (passed or failed) a next action will be executed and the information will be logged. We support the use of process standards (enterprises with strict regulations). User Access Control is handled by your company’s own security system. Compliancy: CMM, ITIL, Six SigmaTM, Sarbanes-Oxley. Security: Active Directory, LDAP, Kerberos. Simply plug in your preferred VCR and Issue Tracking Systems. A multilingual web-based interface allows you to control your application life cycle from within your browser. No need to install any client software. Our Server/Agent architecture will oﬀer you the needed flexibility and scalability. IKAN ALM runs perfectly on Linux, Unix or Windows and supports different development environments. Even if your applications have a distributed front-end (Java, .NET,...) and a Mainframe back-end: you can manage and release all your applications with the same application. Mix it however you like. As developers will version their code and as parallel development is supported you will have a more sound code base. Once the code is versioned, the build and deploy processes are fully automated. You can build and deploy as many times and as fast as you want. A complete and automated process (build, deploy, approval and notiﬁcation) is triggered once a developer commits his code to the version control repository. This process is reliable, repeatable and auditable so you can you can deploy more frequently.